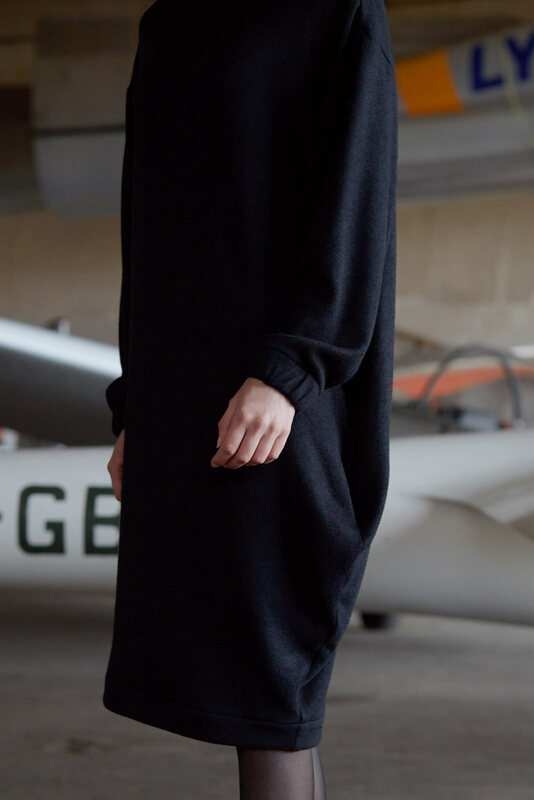 Oversized knitted asymetric dress with a turtle neck. 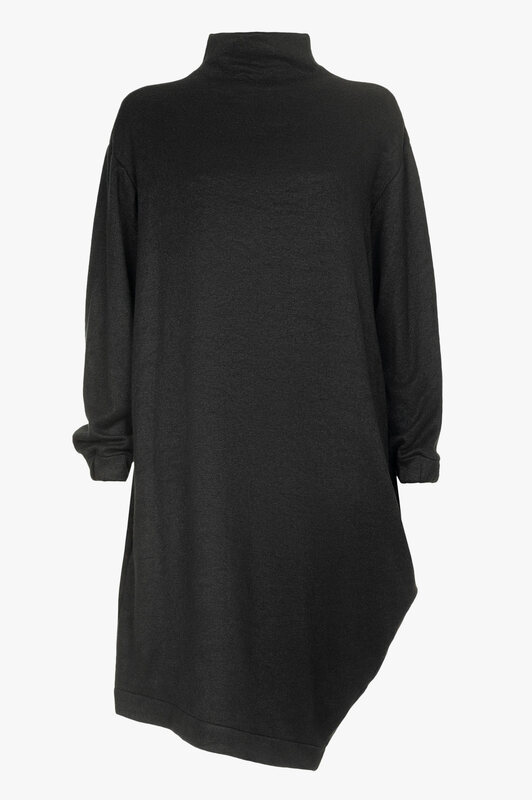 The dress is made of knitted fabric, therefore it keeps warmth during the cold season. One side of the dress is longer to create asymetry in the silhouette. Elastic dress fiber ensures the freedom of movement. The length of the dress is below the knees. Sleeves are long and round shaped. Because of its dark color dress is easy to combine with classic accessories. It fits for both formal and leisure time activities.